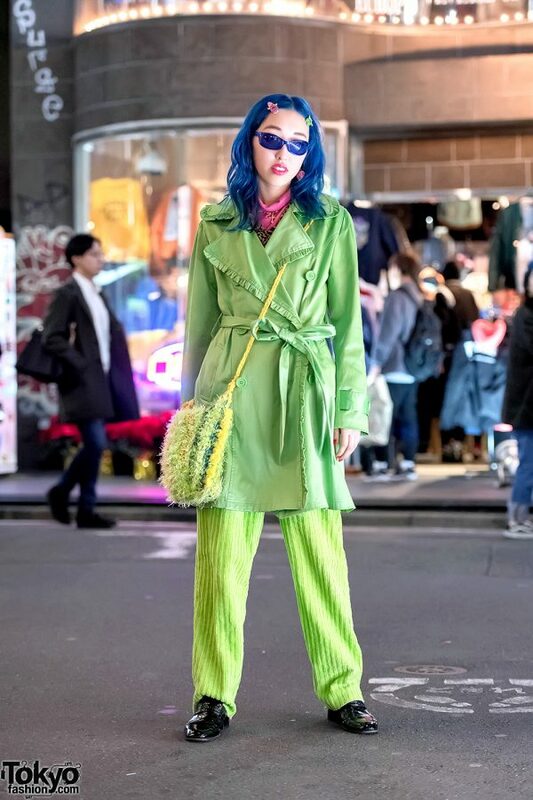 Marincyorin is an 18-year-old student who easily caught our eye on the street in Harajuku at night with her blue hair and all green vintage fashion. Marincyorin is wearing a green vintage coat over layered vintage leopard and pink turtleneck tops, vintage green corduroy pants, and heeled Balmain shoes. 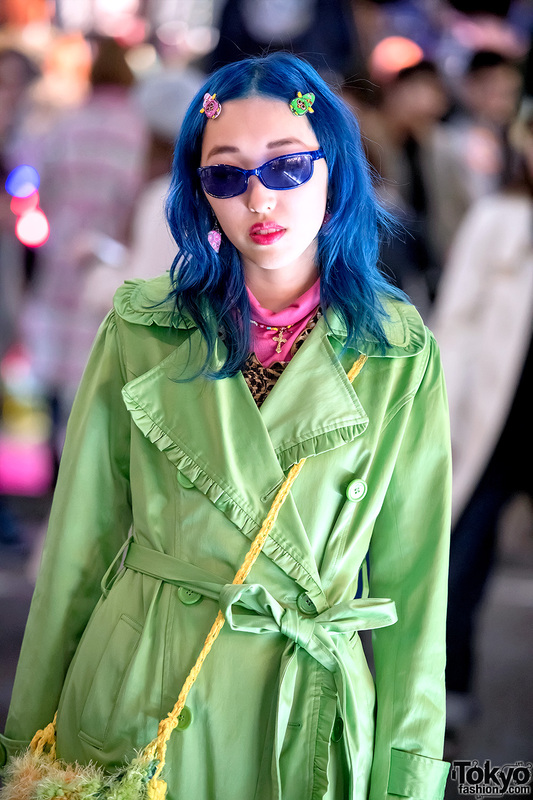 Accessories – some of which are from Pin Nap Harajuku and Pompom Shop – include Furby hair clips, blue sunglasses, a cross necklace, and fuzzy wool bag by MouMou. Marincyorin’s favorite fashion brand is Gucci and her favorite shop is Pin Nap Harajuku. She likes the music of Hatsune Miku and Vocaloid. 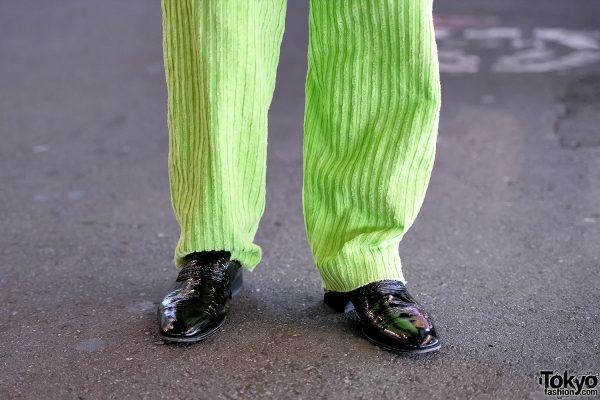 Follow Marincyorin on Instagram for more fun fashion photos.